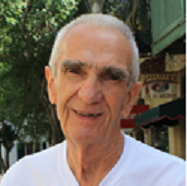 Charles L. Bucklen, a longtime resident of the area and recently of Port St. Lucie, Florida passed on Friday, November 9, 2018 in his home. He was 91. Charles (Lou), was a devoted husband, father, and grandfather. In 1948 he enlisted with the Marines serving his country during the Korean War. He became a Purple Heart Recipient in recognition of his dedication and service to his country. He returned to Newburgh and created a wonderful life. He started C&B plumbing with his stepfather, Frank and then became a Union member of Local 373 (269) Plumbers and Steamfitters, working as a welder, steamfitter and plumber throughout New York State. He was a proud 50 year member of Local 373 (269). Charles spent 46 years married to May Ella Bucklen. She was the love of his life and there was never another. May Ella passed on August 21, 2004. Charles was a very special man. He was humble, kind and loved to laugh with others. He enjoyed his mornings at the coffee shop and time with his friends. He was devoted to his family and all he did throughout his life was for the happiness of wife and children. He is survived by his daughter Lisa Ball, and his son Marc Bucklen; grandchildren Jennyrose Ball, and Kai Bucklen, as well as many additional loving family members. A funeral mass will be held at Saturday, November 17, 2018, at 10:00 a.m. Holy Name of Mary Church in Montgomery. Burial will be in Cedar Hill Crematory in Newburgh, NY.